A fire last August destroyed the home where the Prats family of Lincolnwood was living, just a few days before they were scheduled to close on their own purchase of the house. The fire, ruled accidental in nature, gutted the house and ruined most of the Prats’ belongings. The family with four kids, two dogs and a bird all got out alive. In the aftermath of the destruction, J.C. and Sulet Prats say they weren’t worried about their future, because they had in place what any responsible consumer should have: homeowner’s insurance. "We have insurance. This is what we pay insurance for. [We had] two insurance policies, not just one. This house at the time of the fire happened to have two, two fully insured policies,' J.C. Prats explained. The home had double coverage because both the buyer and the seller had insured it in anticipation of the pending sale. The double coverage that first gave the Pratses peace of mind, they say, turned out to be the source of major headaches. What happens after a devastating fire rarely makes headlines, but a Lincolnwood family says they were caught in the middle of two insurance companies after a fire destroyed everything they had. Lisa Parker reports. 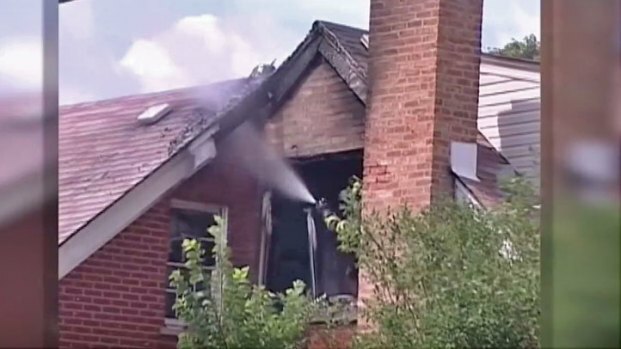 The two insurance companies involved came up with vastly differing estimates on the costs to repair the Lincolnwood home. Country Financial, which insured the seller, came in at $267,000. But Travelers, where the Pratses purchased a policy, came in at just above $400,000. Three subsequent estimates secured by Travelers and by the Prats’ builder, they say, all came in at or above the higher $400,000 estimate. The Prats’ builder and architect, Anthony Perry, said there was no way the home could be repaired for the amount Country Financial supported. "What they are expecting in terms of the scope and the way they approached it is just not something I would ever want someone to do for my own home, or what I would ever do for a client. It’s just ridiculous," said Perry. "Country wants to… to put my house back together with Elmer’s glue, to the point where I just throw up my hands and say OK," Prats said. The family soon became stuck in the stalemate between companies. They say Travelers paid for their move to a rental home, but told them to stop the ongoing demolition work it had previously approved. "Their orders were go ahead and remove everything, then they said hold on- we changed our mind, we’re only going to pay you what you’ve paid out of pocket," Prats said. With the two companies almost $150,000 dollars apart in numbers, the family said negotiations stalled. They were advised to take the battle to court; a battle for which they have no funds and no stomach. "These people have a lot of money. I don’t have those kind of pockets. I want to know where my family is gonna live," the Lincolnwood father said. Neither Travelers nor Country would comment on the details of this complaint. After NBC Chicago's calls, the Pratses say an attorney for Country called to tell them any involvement by NBC Chicago might be "counter-productive" to the progress of their case, and urged them to have NBC cancel the report. But when sat down with the couple, they said there was no progress to speak of. "What do I say? Nothing? I don’t know what next now? I don’t know what’s going to happen? It‘s hard because you’re a mom and you should know. And you have all the answers and I don’t have answers right now," said Sulet Prats. The state Department of Insurance began to look into the Pratses’ complaint, but on Wednesday -- the day this report aired -- the couple got some welcome news. They say Travelers and Country have agreed to work together to repair the house at the higher estimate amount, around $404,000.